Petalcorin manager Peter Maniatis announced that the Former 2 time IBF light flyweight champion Ulises Solis is currently in Australia to discuss his comeback fight. They talked about the fight against Petalcorin possible next year. Ulises Solis is a former IBF World light flyweight champion and he defended it more that 10 times. He was one of the most successful Mexican boxer in the light flyweight division winning the IBF belt in 2006, loses to Brian Viloria in 2009, but he managed to come back and won the IBF Belt again in 2011 and he moved up in the flyweight where he was KO'ed by Edgar Sosa in 2013. “Solis told me that his brother Jorge Solis, who fought Manny Pacquiao in Texas and would be training him if he decides to makes comeback fight,” Maniatis said. "Petacorin is a good fighter former WBA world Champion and I am a two-time IBF world champion. I believe this fight would generate a lot of interest if we fight. I am only 35 years old and have not fought for a few years but I am always in the gym training and also training other boxers. I take boxing seriously” stated Solis. "The offer would have to be good to get me out of retirement" Solis added. 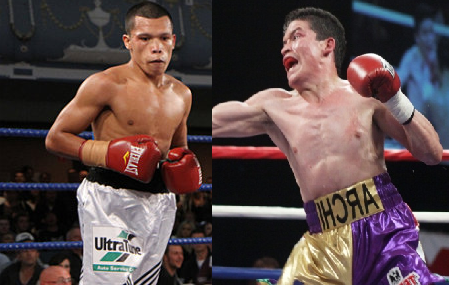 Solis has a record of 35W(22KO)-3L while Petalcorin has a record consisting of 25W(18KO)-2L. If this fight will happen. This would be one of the most awaited fight for the Mexican and Filipino fans in 2017.